(VEN) - According to the Japan External Trade Organization (JETRO)’s recent survey of Japanese businesses in Asia and Oceania in 2014, 66 percent of Japanese businesses in Vietnam are expected to expand their operations. This was JETRO’s 28th survey of 10,078 Japanese businesses in 20 countries and territories, including 458 businesses in Vietnam. Atsusuke Kawada, Chief Representative of Japan External Trade Organization (JETRO) Hanoi said that 66 percent of Japanese companies in Vietnam continued to consider the country an important investment destination with about 80 percent of them citing increased revenue as the reason for the expansion plans. About 70 percent of non-manufacturing businesses said that the main reason was that they had the potential to achieve high growth. According to Yasuzumi Hirotaka, the Managing Director of the JETRO Representative Office in Ho Chi Minh City, the survey showed that 62.3 percent of Japanese businesses in Vietnam reported profits in 2014 compared with 59.9 percent in 2013. However, this figure was below other countries in the Association of Southeast Asian Nations (ASEAN) such as the Philippines 71.2 percent, Thailand 66.9 percent and Malaysia 66.4 percent but above Indonesia 60.9 percent and China 60.7 percent. Export processing companies recorded the highest rates of profit of almost 70 percent, while the non-export processing sector reached only 56 percent. Among the 20 countries surveyed, Vietnam ranked fifth with three good criteria – social and political stability, a good lifestyle for resident staff members and low labor costs. The local content of materials and component parts reached 33.2 percent in 2014 in Vietnam, an increase of one percent from 2013, compared with 28.4 percent in the Philippines, 66 percent in China, 55 percent in Thailand, 43 percent in Indonesia and 41 percent in Malaysia. Japanese companies highly rated improvements in taxation and customs procedures in Vietnam. They wanted to take advantage of the benefits that exist as soon as Vietnam joins free trade agreements especially the ASEAN (Association of Southeast Asian Nations) Economic Community in 2015 to take development opportunities and increase exports. However, 60 percent of surveyed Japanese companies believed that the Vietnamese legal system still needed to be improved and it continued to lack transparency and that administrative procedures including tax formalities needed to be further improved in the future. They also said that labor costs in Vietnam had tended to increase and that they still encountered difficulties in finding and purchasing raw materials and components from domestic enterprises. Only one Japanese support industry firm has so far received the Vietnamese government’s preferences although the country has applied a series of incentive policies to stimulate investment and development of the sector. This showed that Vietnamese support industries preferential policies have not been commensurate with realities and that preference procedures have been complicated. For this reason, many businesses did not meet the requirements for receiving the government’s preferences. 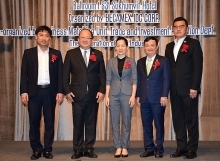 The JETRO Ho Chi Minh City representative said that the Japanese business community wanted the Vietnamese government to continue improving the legal system and the investment and business environment, reforming and simplifying customs clearance procedures and upgrading the infrastructure system to better facilitate business. 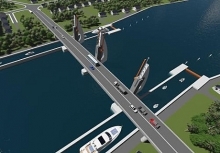 According to the JETRO Hanoi representative, Vietnam needs to develop support industries and the Vietnamese government should continue to provide support industry enterprises with assistance in the form of low-interest loans and tax incentives, and assistance in human resources training.